The Water Quality Association's "Getting Smart" publication series is intended to promote environmental stewardship and resource conservation. 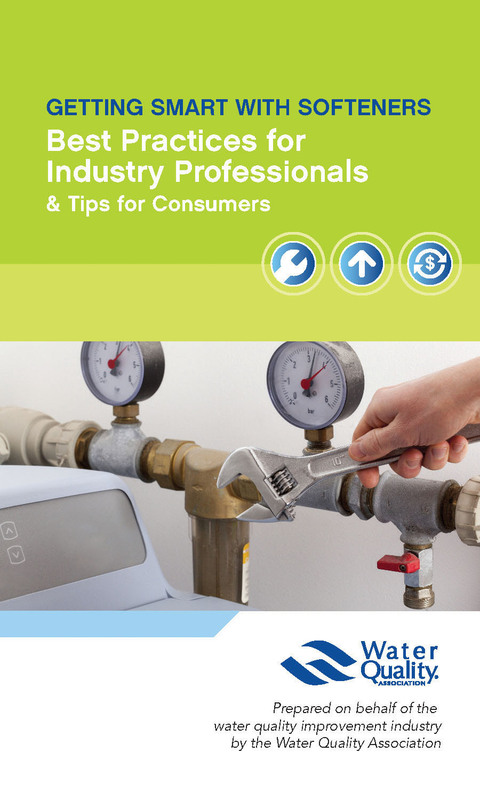 These small, pocket-sized booklets provide best practices for water treatment industry professionals and conservation tips for consumers focused around specific water technologies. WQA sought advice from the most respected professionals in the industry and turned to current scientific research in developing these publications. Getting Smart with Softeners is available for free download [PDF] and accessible as a digital flipbook. Print samples may be obtained by contacting Daniel LeBlanc at dleblanc@wqa.org. 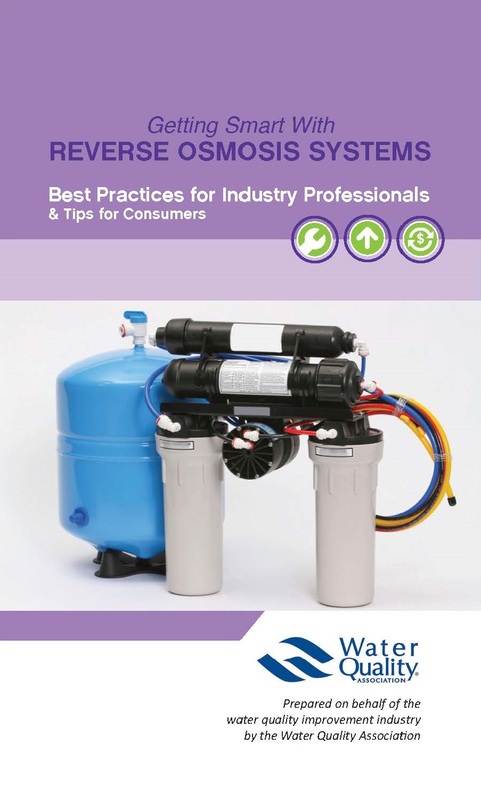 This booklet contains information appropriate for those who manufacture, sell, install, and maintain residential reverse osmosis (RO) treatment systems. Homeowners, regulators and legislators may also find it useful. In producing this guidebook, the Water Quality Association (WQA) leveraged the advice of respected industry professionals and the latest in scientific research. Getting Smart with Reverse Osmosis Systems is available for free download [PDF].